Gingerol is the main bioactive compound in ginger, responsible for much of its medicinal properties. It has powerful anti-inflammatory and antioxidant effects. The anti-cancer properties are attributed to 6-gingerol, a substance that is found in large amounts in raw ginger. In a study of 30 individuals, 2 grams of ginger extract per day significantly reduced pro-inflammatory signalling molecules in the colon. However, a follow-up study in individuals at a high risk of colon cancer did not confirm these findings. There is some, albeit limited, evidence that ginger may be effective against pancreatic cancer, breast cancer and ovarian cancer. More research is needed. Ginger contains a substance called 6-gingerol, which may have protective effects against cancer. However, this needs to be studied a lot more. Menstrual pain or dysmenorrhea is the pain felt during a woman’s menstrual cycle. Ginger has been traditionally used to relieve all kinds of pain, including menstrual pain. More recently, research took the claim to test by taking 150 women to take a gram of ginger powder per day, during the first three days of the cycle. Due to ibuprofen and mefenamic acid (components found in ginger), the women reported reduced pain during the cycle. Ginger appears to be very effective against menstrual pain when taken at the beginning of the menstrual period. High levels of LDL lipoproteins (the "bad" cholesterol) are linked to an increased risk of heart disease. 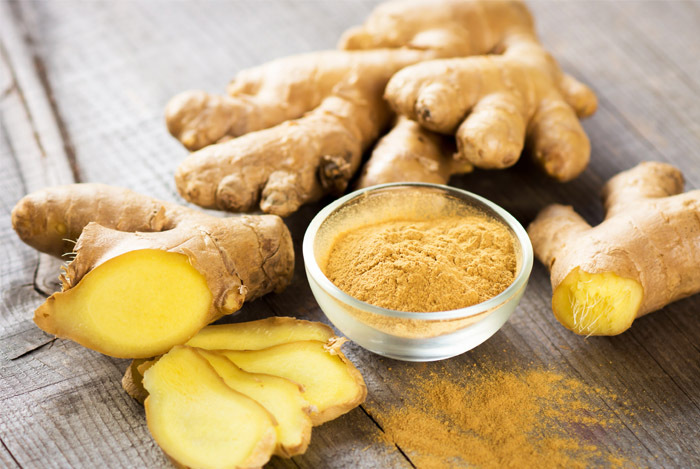 This is supported by a study in hypothyroid rats, where ginger extract lowered LDL cholesterol to a similar extent as the cholesterol-lowering drug atorvastatin . There is some evidence, in both animals and humans, that ginger can lead to significant reductions in LDL cholesterol and blood triglyceride levels. You can grate, it to your tea and enjoy some delicious ginger tea. You could also use ginger powder or ginger flavoured tea leaves. You can add it to your food by either grating it or buy powder ginger. You can slice small pieces and chew them directly. More research is still being carried out to determine even more benefits of this miraculous plant. For the meantime, add it to your diet, and you’ll see the improvement. If you feel this information was helpful, kindly share. Nice Post. Thanks for sharing this informative content here!